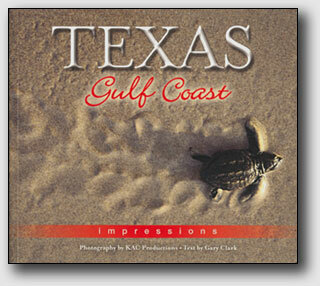 Kathy Adams Clark put her love of photography and Big Bend National Park into one compact book. A companion guide to Gary Clark's Enjoying Big Bend National Park, this book is loaded with photo tips and how-to lessons. Each location has a suggested photograph for the beginner, intermediate, or advanced photographer. Click to order your copy of Photographing Big Bend National Park. Naturalist and writer Gary Clark shares his love of Big Bend National Park in this compact travel guide. Learn what to do if you only have one day in the park or have the pleasure of exploring for an entire week. Gather tips on how to entertain children while in the park. Gain an insiders knowledge about where to find specific birds. This book is loaded with history and travel tips. Click to order your copy of Enjoying Big Bend National Park. 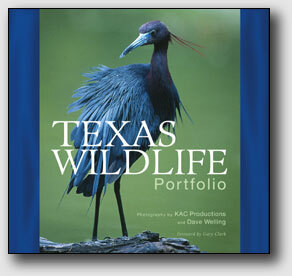 The photos of Kathy Adams Clark are showcased in this lovely coffee table book published by Farcountry Press in 2012. Gary Clark wrote the forward and photo captions. Consider using this book for corporate gifts and holiday presents. Click to order your copy of Portrait of Houston. Kathy's published her popular basic photography class as an eBook. Learn how the camera's light meter leads to the correct f/stop and shutter speed to get a quality photograph. Learn when to raise the ISO and when to leave it alone. Before and after photos plus simple exercises you can do anywhere. Click to order your copy of Basic Photography: Book 1. Gary Clark and Kathy Adams Clark were recently awarded the 2010 Synergy Award for Environment Excellence by the Citizen's Environmental Coalition. Gary and Kathy were recognized for outstanding efforts in the field of environmental reporting for their weekly "Nature" column published in the Houston Chronicle. The Citizens' Environmental Coalition is an information clearinghouse and communications network for environmental issues in the Houston and Galveston, Texas. It honors local activists and organizations for environmental service at its annual Synergy Awards celebration. Honorees are recognized for their outstanding efforts in Environmental Conservation, Environmental Education, Media, Corporate Awareness, Community Activism, Lifetime Achievement, Government and Sustainable Planning. 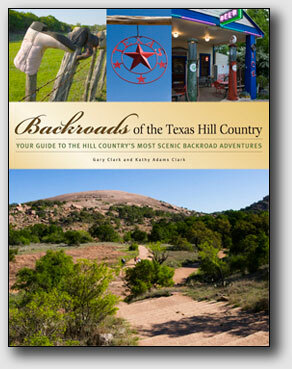 Kathy Adams Clark and husband Gary Clark collaborated to produce the stunning new book "Backroads of the Texas Hill Country." Gary's writing takes readers on 32 routes through the central part of Texas. Kathy's photos illustrate sites that you'll see along the way. Order from Amazon or other major retailers. Four photographers from KAC Productions, Kathy Adams Clark, Larry Ditto, Greg Lasley, and Glenn Hayes will have their work featured is this lovely book. Gary Clark wrote the introduction and all the text in the book. Released by Farcountry Press in February 2007. Seven photographers from KAC Productions, Kathy Adams Clark, Larry Ditto, Greg Lasley, John & Gloria Tveten, Bill Draker, Glenn Hayes, and Rolf Nussbaumer, along with Dave Welling team-up to present this lovely coffee table book. Gary Clark wrote the introduction and all the text in the book. Available at Texas Barnes & Noble, Border, Walden and independent booksellers. Also available at area Wild Bird Unlimited stores, Just for the Birds in Old Towne Spring, and A Good Tern in Galveston. Order a copy on-line through Amazon.com. Bulk orders welcome. Contact us for details, to arrange a book signing, or a speaking engagement.